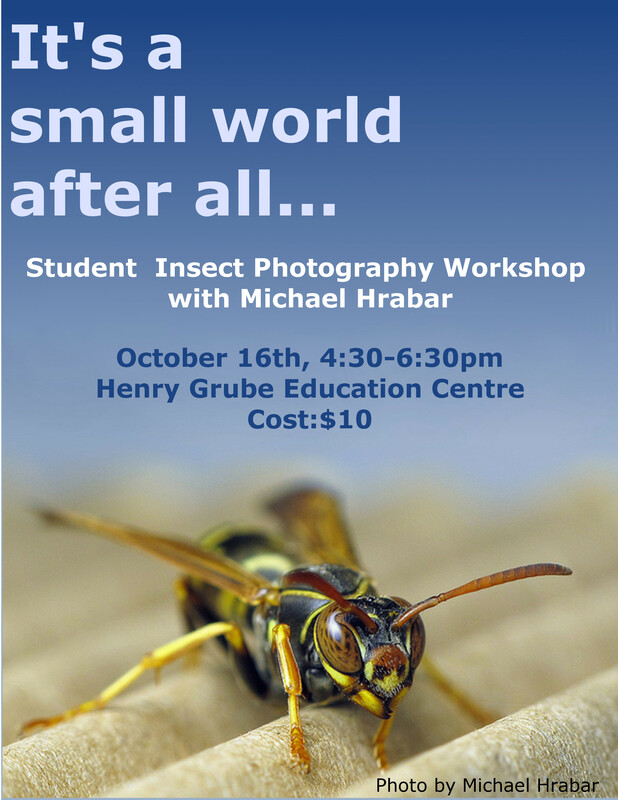 Come explore insect photography in this hands-on workshop! This workshop will equip participants with a basic understanding of photography, with a particular emphasis on macro and insect photography. Who? This student workshop is aimed at inexperienced photographers but those with more experience are welcome to join in on the hands-on portion of the workshop to share their expertise. Participants are requested to provide their own camera. Contact your Student Representative, Joyce Leung, at jpl15@sfu.ca for more information.